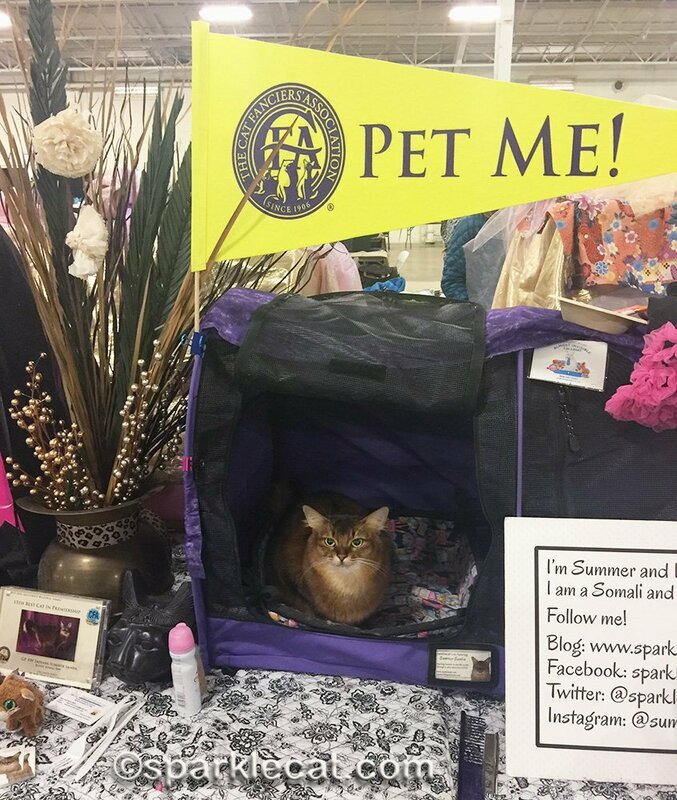 I’ll be a Pet Me Cat at the San Diego Cat Show this weekend. In case you don’t know, this is the biggest annual cat show on the West Coast, so I will be very busy. This is my third time as a Pet Me Cat, but my fifth time at this show. The first couple of times I was competing. In fact, my first time here, I earned my Grand title in my first ring! But I thought I would do a flashback today of my very first Pet Me Cat gig here. That year, we got really cool Pet Me Cat pennants to post at our benching areas. I was benched next to the Somali Breed Booth, so I also got to show off the awesomeness of Somalis! That was fun. 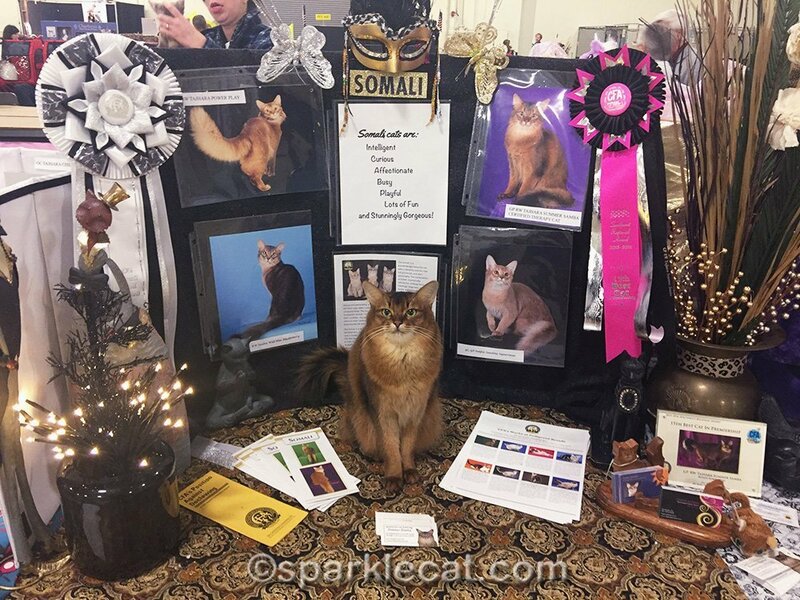 I’m going to be next to the Somali Breed Booth again this year — I usually am! My human brought several outfits for me to wear, as she usually does. This year, it’s going to be pretty cold in the huge hall in the mornings, so my human is packing more sweaters and sweatshirts for me, and not so much fancy clothing. I think she is packing sweaters and sweatshirts for herself too! This show was also before I got the bell I use now. I never did like that old metal one. I also got to go for a walk on my leash! Not all shows are big enough for me to be able to do this. So when we have a big cat show, my human likes to give me a chance to stretch my legs. 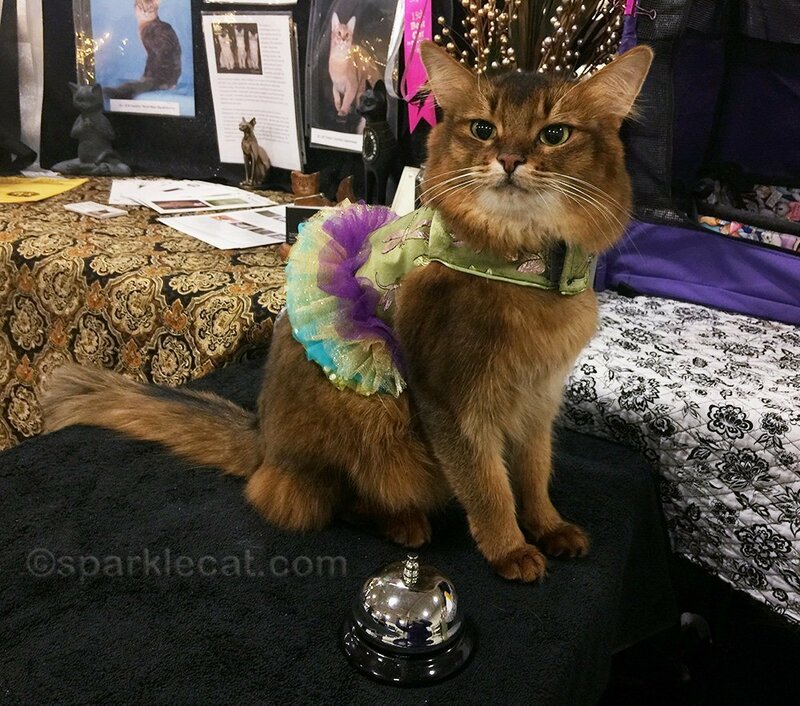 I really enjoyed being a Pet Me Cat at the San Diego Cat Show in 2017, and 2018 too! So I am really looking forward to this weekend. If you are in the area, I hope you can stop by! Not only do YOU have fun at the shows but everyone else has fun just MEETING you!! Meow meow Summer yore Too-Too dress iss adorbss! 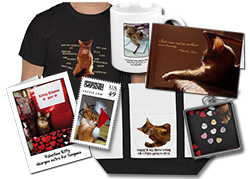 An you are THE SpokessKittie fore yore breed an all catss. Mee cuud nevurr do what you do…. Summer, we wish we lived in San Diego so that we could come see you. Have a great show, sweet girl. You are an amazing breed ambassador! We can’t wait to hear all about this year’s show! We think it is SO amazing that you like strangers petting you! We run to the top of the stairs and growl if annyone even comes in our yard! I hope you have a wonderful time in San Diego, Summer! I can understand your human feeling that she needs sweaters and hoodies for a cold venue, but don’t you have a fur coat that you wear everywhere?? Anyway, tell Obie to smile pretty for the judges and let him know that Agatha says she is glad it is he that is showing and not she…. I’ll be there in spirit. If you’re human feels a bite, that’s me. We hope you enjoy this weekend’s show too. Our mommy wishes you were at the one in Portland! We bet you make the day of everyone you meet, Summer. I can’t get over the sizes of the shows you go to! Ours takes up a single hotel conference room. Have a lovely time out there. I am sure you’ll charm everyone you meet, and be the undisputed out of ring champion of the show. We know you will be a big hit there Summer and getting lots of nice pats. 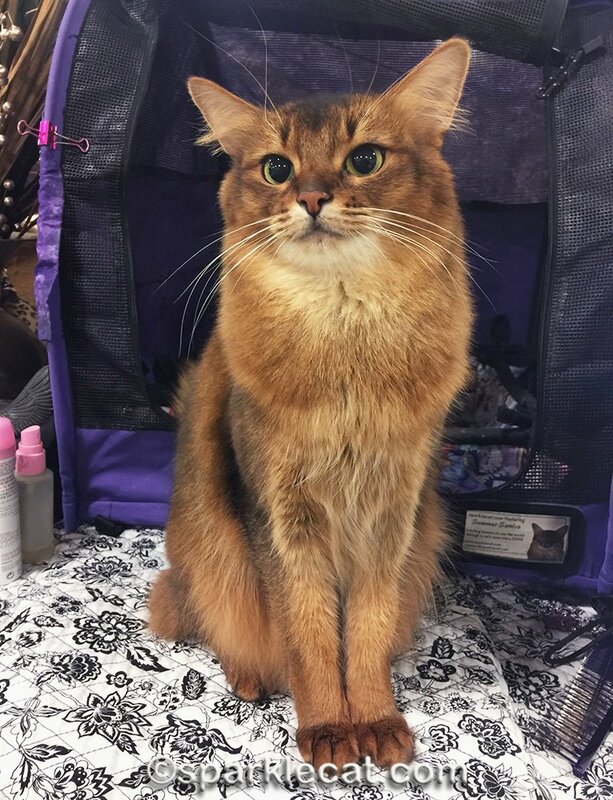 You are the perfect kitty to represent your breed. Have fun at your show this weekend, Summer! We know youâ€™ll have a great time making new friends and showing off your tricks and stylish outfits! That looks like it will be a lot of fun, Summer! We look forward to hearing all about it nxt week. That cute little fru fru dress won’t stave off the cold winds, Summer! Glad you’ll be prepared with some thick hoodies! 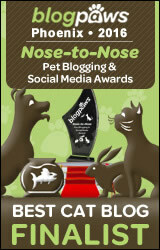 Summer, I saw you had let Binga do a blog from Face Book but where is it? I know you will have a fun time and everyone will totally love you sweet Summer! That was a nice flashback. I hope you have a lovely time at this weekend’s show. 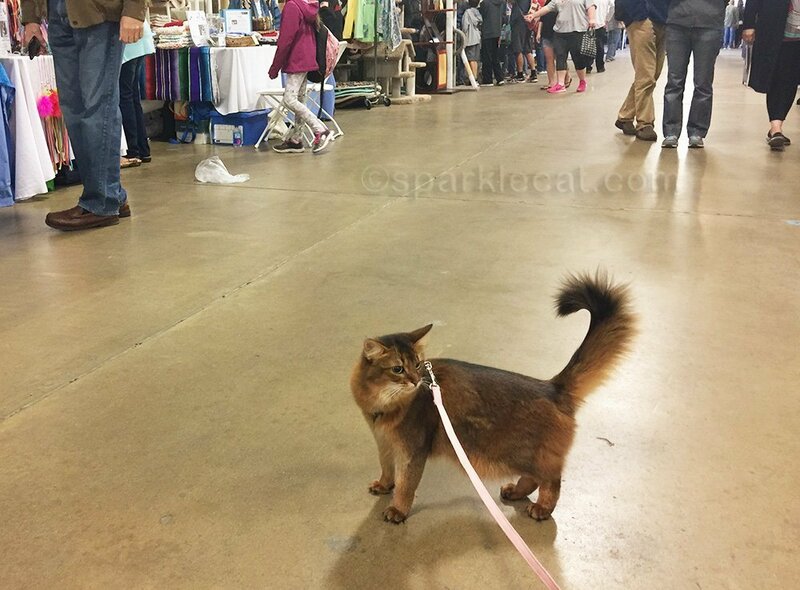 It must be nice to be at a cat show and not have to compete. We hope you have a lot of fun at the show.